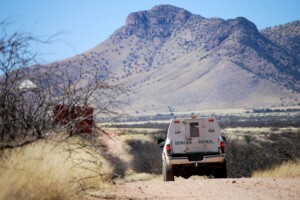 The federal government wants to hire about 1,600 Border Patrol agents by Sept. 30 to fill vacancies across the country. Applications will be accepted at USAJobs until May 31. There are currently about 20,000 agents assigned across 6,000 miles of border land. Applicants must be under the age of 37 and be U.S. citizens. Drug tests and fitness exams also are included. A Border Patrol agent starts out at about $39,000 and is capable of making more than $70,000 with promotions. Posted: 5/14/15 at 9:16 AM under News Story.